Regulations on free speech protect people from unnecessary harm. Completely free speech makes it impossible for a society to exercise any kind of rule of law. Signatures on contracts, pledges of secrecy and courtroom oaths of witnesses would all become equally valueless with disastrous results. Courts require restrictions on freedom of speech in the form of oaths to prevent perjury. Without restrictions on staying false statement, it would be much harder to convict guilty people of crimes. fighting words,' stops individuals from using words to escalate disputes to violence. Defamation laws are necessary to protect individuals and society from the very real consequences of careless or malicious speech. 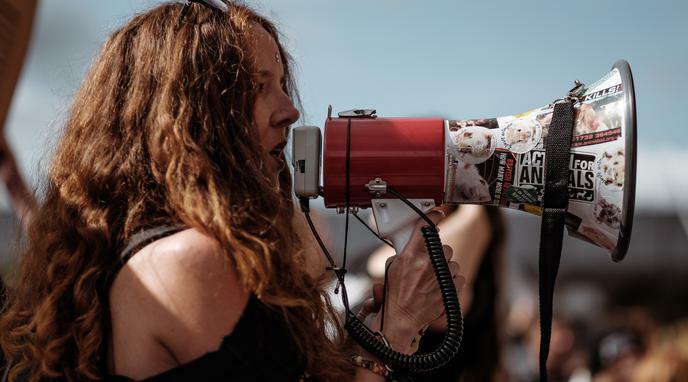 Speech which creates a clear and present danger to society, for instance the famous example of shouting "
fire" in a crowded theater, should be limited. Fraudulent speech should be prohibited due to the material harm it can cause. Doctors could kill people if they recommend courses of treatment patients don't need, or that are inadequate. This is a form of free speech on the part of the doctor. Without any limitation of free speech, illiberal ideas that question other fundamental rights might spread and gain further traction. Free speech on public spaces can be very disruptive and dangerous. For example, protests that were not declared to the city are not protected by the police who would normally redirect traffic around it avoiding the possibility of cars ramming into protesters. though the CIA and other US and international agencies publicly concluded a decade earlier that this was not true. Over time, false claims erode trust in all media, and allow media to polarize the electorate by publishing alternative views of reality. If free speech was unlimited, then other equally important freedoms could not exist. In times of war, limiting information in media can be important for a country's national security. Speech that explicitly incites violence should have legislative consequences, as this both has the intent and potential to cause maleficent harm. Regulations on free speech can prevent companies from lying to customers. Regulations on speech are difficult to maintain, as speech is deeply tied to context. It is both difficult to determine what harmful speech is as well as difficult to legislate properly. Words do not have the ability to harm you unless they are used to directly call for violence. Even if regulations could protect people from harmful ideas in the public space, people will inevitably still be exposed to the same harmful ideas in their private lives. Feeling offended or hurt by speech is a matter of choice because no one is responsible for our issues but ourselves. The best course is to take self responsibility and stop blaming others. Governments should not have an unrestricted the obligation to protect people from unnecessary harm. Driving a car could involve a person in an accident and harm others, but cars ownership is legally permitted.